If you are frustrated (like I was) with the 'annoying' ctfmon.exe process that just won't stop opening no matter what you do. 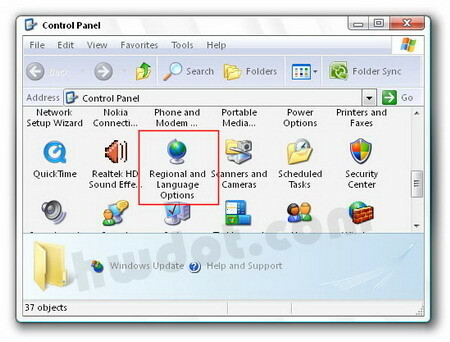 Here's a simple way to disable/remove the service from your Windows XP so that it doesn't reappear from time to time. Yeah, just removing Ctfmon.exe from MSConfig does not disable Ctfmon.exe. According to the official support page from Microsoft, Ctfmon.exe activates the Alternative User Input Text Input Processor (TIP) and the Microsoft Office Language Bar. This file monitors the active windows and provides text input service support for speech recognition, handwriting recognition, keyboard, translation, and other alternative user input technologies. It starts the Language Bar component (in the Systray) and remains running in the background even after you quit an Office XP program. It also starts each time Windows is started and remains in the background, regardless of whether an Office XP program is started. WARNING/NOTE: If you are using any of these, you should leave it enabled. 1. 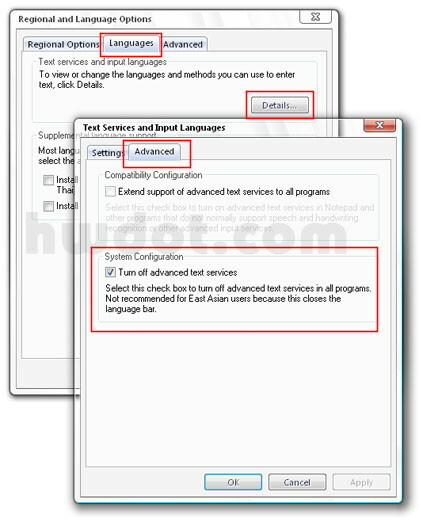 Choose 'Startup' and UNCHECK 'ctfmon' from the list, OK.
... check the box that says "Turn off advanced text services"
NOTE: Do "BOTH" option A. + B. as well. Last but not least, TAKE MY TIPS AT YOUR OWN RISK! For my computer it really works! btw, IF for yours it still fails, You may try the 'more complicated' steps on Microsoft Support webpage here. 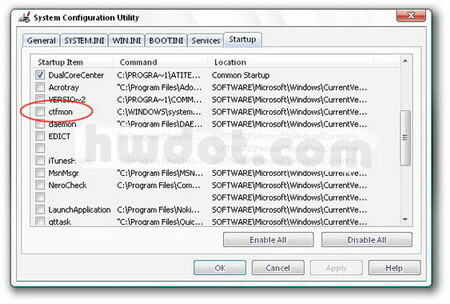 5 comments on "How to Disable-Remove 'ctfmon.exe' service in Windows XP (Simple Way)"
Thanks! it does help me solving the problem. 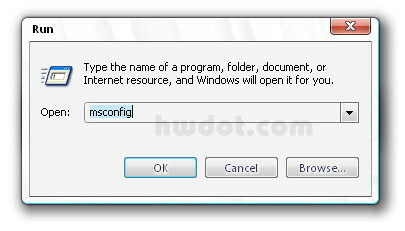 Are you SURe this works- on my win xp - the system config in the advanced TAB is NOT there!! This entire issue is dealt with in KB282599 http: //support.microsoft.com/kb/282599. Method "A" above will not work alone. Method "B" will work without method "A". The trouble with turning off advanced text services is that it affects everyone who might switch keyboard layouts via the language bar, not only East Asians. Anyone who would, for example, switch from a standard UK keyboard to a US International layout in order to type non-English Western characters quickly (á ö ó ß ü é, etc.) will be affected by manoeuvre "B". It does appear that these alternate keyboard layouts are still accessible using a hotkey combination. The default is Left Alt + Shift. of course it runs well on my win xp. in case you're having trouble, you may visit microsoft's webpage as mentioned above, http: //support.microsoft.com/kb/282599 . Thanks for confirming. Your comment should warn everyone who wants to do this.